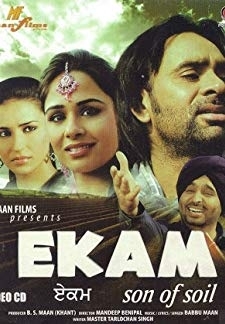 This punjabi movie which marks the debut of Roshan Prince as an actor, is a story of a boy who fall in love with a girl. But her father wants to kill him for money provided by his uncle whos eyes on his property. A Thriller with backdrop of a Love Story backed by melodious Punjabi Music. © 2018 Scratchu.com Lagda Ishq Ho Gaya | Binnu Dhillon, Gurpreet Ghuggi, Roshan Prince, Rana Ranbir, Malkeet Rauni, Anita Shabdeesh, Vivek Shaq, Sharanpreet, Shaveta, Upasna Singh, Sardar Sohi - Lagda Ishq Ho Gaya (2009) | Punjabi Movie | 4.7/10 | Synopsis : This punjabi movie which marks the debut of Roshan Prince as an actor, is a story of a boy who fall in love with a girl. But her father wants to kill him for money provided by his uncle whos eyes on his property. A Thriller with backdrop of a Love Story backed by melodious Punjabi Music.... Watch Online!! !